Observation - White blackbird? - UK and Ireland. 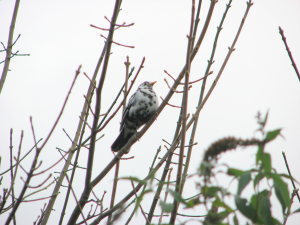 Description: Speckled albino blackbird perhaps..?